May 18, 2018 - Cargotec has signed an agreement with JCE Invest AB to establish a joint venture, Bruks Siwertell Group, specialised in dry bulk handling. 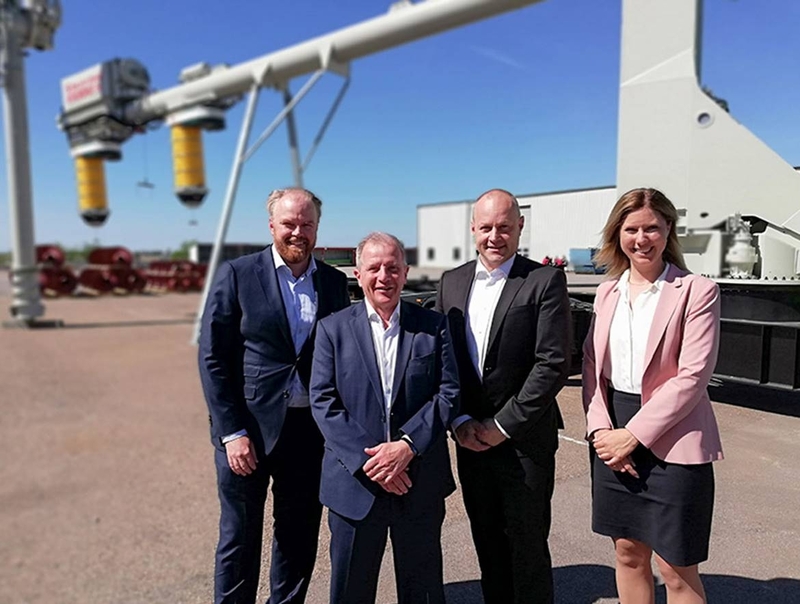 The new joint venture will own Siwertell AB (previously part of Kalmar Business Area within Cargotec) and BRUKS Holding AB (previously part of JCE Group). Both companies are suppliers of bulk materials handling solutions. Cargotec will own 48 per cent of the shares in Bruks Siwertell Group, and JCE Invest AB will own the rest, 52 per cent. The ownerships are included to venturers’ consolidated financial statements in accordance with the applicable regulation. The transaction has been signed and closed on May 9, 2018. “This joint venture supports Cargotec’s strategy to focus on container ports, heavy industrial segment and logistics. Siwertell’s business is outside these core focus areas, with different customers, customer locations and limited synergies with the rest of our businesses. By joining forces with JCE Group, we are able to create a company that will be a significant player in the bulk material handling with a globally competitive and specialised product portfolio,” says Antti Kaunonen, President, Kalmar. “This is a true partnership between two strong brands, Siwertell and BRUKS, as they complement each other very well both in terms of product portfolio and market coverage. Siwertell will benefit from BRUKS’s strong position in the US market whereas BRUKS will gain access to Siwertell’s Asian network, knowledge and exposure. Together we will be a full line supplier for almost all types of bulk materials”, says Per Karlsson, Managing Director, Siwertell. “Together BRUKS and Siwertell will have a strong position in the dry bulk handling industry and attractive growth opportunities in new markets and customer segments including biomass, bioenergy and biofuels industries. This cooperation will add customers, competence, additional knowledge, capabilities and products to support the future growth of the new company”, says Peter Jonsson, Group CEO, BRUKS. BRUKS is a global leader in mechanical-engineering and equipment supply for the bulk materials handling industries. The company provides specialised customer solutions, including the development of custom machines and systems. BRUKS product portfolio offers a wide variety of customised solutions for the bulk materials handling industry. In 2017, BRUKS generated total revenues of SEK 707 million and it employs 246 employees in Sweden, U.S., Germany and Lithuania.